Can I Save Money on Heating by Shutting Vents in Empty Rooms? Why Do Boilers Tend to Last Longer Than Furnaces? The two most common types of heating systems found in homes are gas-fired boilers and furnaces. The furnace is by far the most popular type of home heating system in the U.S., but the boiler has remained competitive for a number of reasons. Boilers require fewer repairs on average, can cut down on energy costs, provide heat without blowing around dust, and operate at quiet levels. They also tend to outlast furnaces. The average furnace life expectancy is 15 to 20 years. Boilers can last up to 30 years, letting a whole generation grow up in a house with the same heating system. But it isn’t enough to simply know a boiler lasts longer. Why it last longer helps to understand how boilers work and why they have so many other advantages. Let’s take a closer look at boiler longevity. You might imagine that a boiler still is up against foes that a furnace never has to worry about: corrosion and rust. Isn’t the presence of water a danger to the boiler’s operation? No heating system, no matter how durable, has an infinite lifespan—the boiler is no exception. Eventually the stress of operation and the presence of water will lead to a boiler that is losing its efficiency and effectiveness. 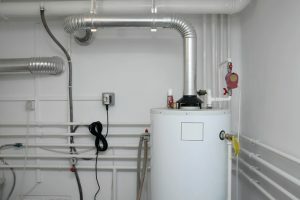 When the boiler in your home starts to cost too much to operate and is running up repair bills, it’s time to look into a new boiler installation in Winnetka, IL or elsewhere in Chicagoland. You can rely on our experts for boiler replacement services as well as any repairs your boiler you may need in the future. Malek Heating & Cooling: Serving the Chicagoland area since 1998. Let our heating professionals find the right system for you!